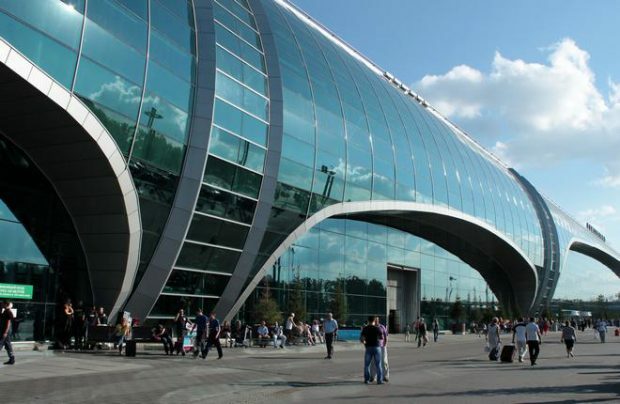 Moscow’s Vnukovo, Domodedovo and Sheremetyevo airports saw their combined passenger traffic grow 21.3% year-on-year in May, to 7.369 million passengers, the Federal Air Transport Agency (FATA) reports. International traffic grew 31.6% to 3.536 million passengers, whereas domestic flights served 3.834 million passengers (up 13.1%). This correlation continues the trend first reported in late 2016, when international traffic figures began growing again in Russia. Sheremetyevo came first with an increase of 17.2% to 3.234 million passengers, FATA says (the airport reports having served 3.274 million passengers in May). International traffic grew by 19.9% to 1.804 million passengers; domestic traffic increased by 14.1% to 1.47 million, a Sheremetyevo representative notes. The most popular international destinations from Sheremetyevo since the beginning of 2017 have been Paris, Prague, Tel Aviv, Shanghai, and Beijing. The most popular domestic destinations are St. Petersburg, Sochi, Yekaterinburg, Simferopol, and Krasnodar. Sheremetyevo-based Aeroflot was among the biggest contributors to the airport’s traffic growth in May, as were NordWind, Royal Flight, Pegas Fly (all of them Russian), Air France, and Kazakhstan’s Air Astana. Domodedovo occupying the second place on the list of Russia’s busiest airports with a 19.1% increase in traffic to 2.260 million passengers. The airport’s international traffic grew 28.6% to 1.2 million, whereas its domestic traffic increased by 12.2% to over 1.4 million passengers. The greatest international traffic was reported on routes between Domodedovo and Dubai, Punta Cana (Dominican Republic), Yerevan (Armenia), Dusseldorf, and Barcelona. Domestically, the most popular destinations were Krasnodar, Sabetta (a rotation camp on the Yamal Peninsula), Ufa, Barnaul, and Krasnoyarsk. Vnukovo, the smallest of Moscow’s three major airports, demonstrated the highest traffic growth rate in May at 35.8%, to 1.515 million passengers, FATA reports. The airport itself has not commented on its May performance, so no breakdown for international versus domestic figures is currently available. The combined May traffic figures for the Russian capital city’s three primary airports turned out to be almost as impressive as the April results.